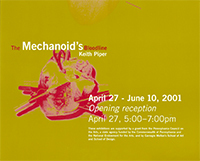 Keith Piper's The Mechanoid's Bloodline was an installation of three user-controlled interactive projections. 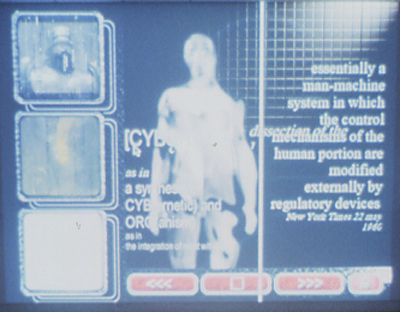 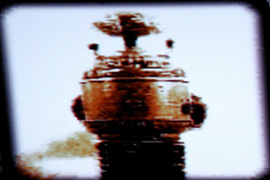 It examined the metaphorical relationship between the Robot, the Android, and the Cyborg, in a range of science fiction texts and prevailing notions of racial difference. 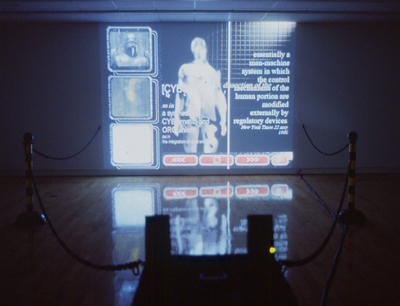 The spectator navigated through a series of interactive spaces and triggered events on one of three large projected screens.